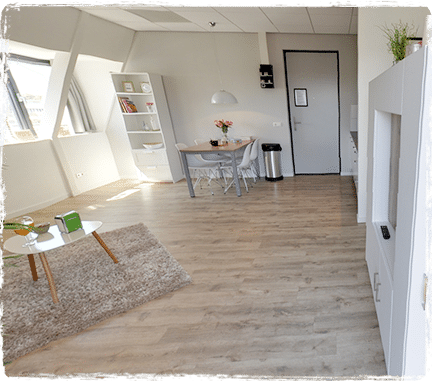 Are you looking for temporary accommodation near Utrecht? JOINN! has 25 fully equipped Short Stay apartments (from 2 to 30 nights) and Long Stay apartments (from 1 to 8 months). Located directly at the railway station of Houten, 10 minutes from Utrecht. Feel at home, even if it is temporary. The short stay hotel apartments are furnished in such a way that you immediately feel at home. All apartments are equipped with a private kitchen, bathroom and balcony. Gas, water, electricity, fast Wi-Fi and parking are included. We even take care of the cleaning of your short stay hotel apartment! Don’t feel like cooking or want to get to know new people? Visit our atmospheric café restaurant! 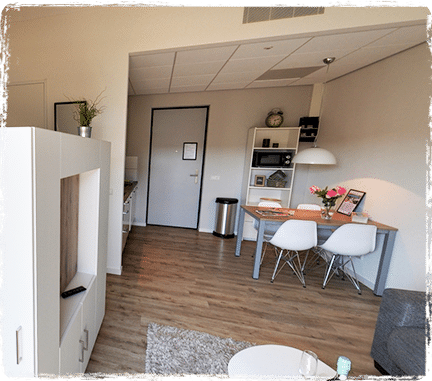 The short stay hotel apartments from JOINN! 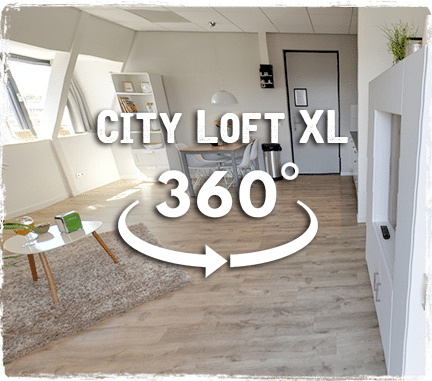 are ideal for expats, commuters and people in between houses who are looking for temporary accommodation in Houten, Utrecht or surroundings. Short Stay: weekly cleaning. Long Stay: monthly cleaning. Costs all fixed, including gas, water, electricity, TV and internet. 2-30 nights from € 105 p.n. Complete flexibility; arrive when you want. Prices include VAT, gas/ water/ electricity/ tv/ internet and excl. 4% tourist tax. Staying longer than 7 nights? You receive a weekly cleaning. Arrival on the 1st of the month. Check out on the last day of the month before 10: 00h. When registering with the municipality of Houten, tourist tax will be cancelled. A surcharge of €5 euro per night applies per 2nd person staying. 6 months from €1495 p.m. from €1695 p.m. The security of a homely accommodation for your employees. Option to change one colleague per month. Standard extra services such as a weekly cleaning and change of bed linen and towels. Prices are excluding VAT and tourist tax but include gas/ water/ electricity/ tv/ internet and weekly cleaning. 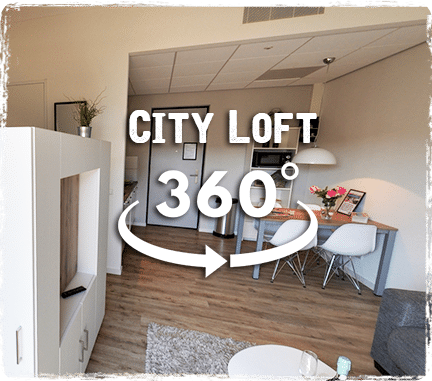 View our City Lofts in 360° view! "Interesting way of making use of space in an efficient way. The "TV solution" was great. Location next to the train station with frequent trains to Utrecht (and other towns). Kitchen and access to laundry." "Mooi ruim appartement, met alle gemakken!" "The accommodation was stylish and comfortable with all of the facilities that we would need for a weekend break. Finally the food at JOINN was delicious and we would recommend the place to friends and family without hesitation. Will definitely be going back!" "Extremely friendly staff who were chatty and really helpful. Made us feel very welcome. Having the train station just opposite was really convenient and made getting into and out of Utrecht quick and easy." "It’s exactly as they describe it: home away from home! Studios are very comfortable, nice bed, beautifully furnished, perfect location right next to the train station and even though our room was just next to the train line there was absolutely no noise." "Very convenient to the train station and shops. Self contained. Spacious. Excellent latte coffee at their on site café with friendly staff." "Clean and modern rooms. Right next to railway station, 10 min to Utrecht Centraal by train. Free safe parking for my rental car." "Very clean, good location and quiet in spite of being near train station." "Erg leuke studio met ruime kitchenette, zelfs inclusief kookplaat en vaatwasser. Zeer geschikt voor langer verblijf." "The host was able to extend stay and was good at communicating before-hand. The room is well furnished and provides good facilities in an excellent location." "Zeer ruime accommodatie en verzorgd en goede ligging en zelfs al is het vlakbij het station, stil en rustig. Kan niet beter!" 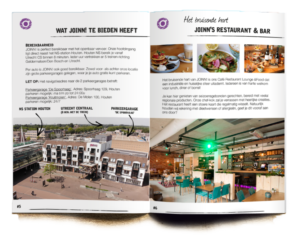 Request here the information brochure of our City Lofts.